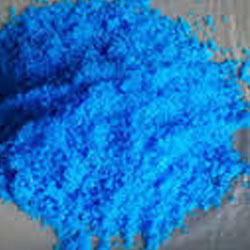 Leading Wholesale Trader of cobalt carbonate, cobalt fluoride, cobalt chloride, cobalt nitrate, cobalt oxide black and cobalt acetate from Mumbai. 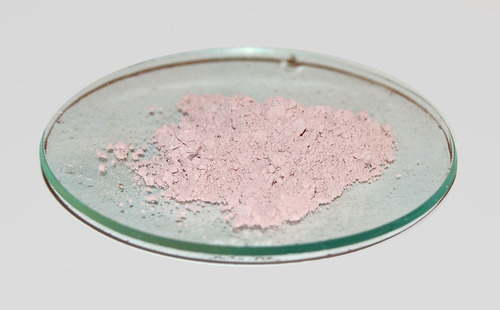 Cobalt Fluoride is a chemical compound with the formula (CoF2). 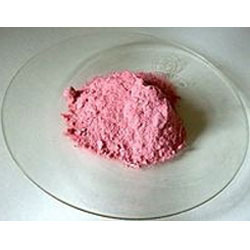 It is a pink crystalline solid compound which is antiferromagnetic at low temperatures (TN=37.7 K) The formula is given for both the red tetragonal crystal, (CoF2), and the tetrahydrate red orthogonal crystal, (CoF2·4H2O). CoF2 is used in oxygen-sensitive fields, namely metal production. In low concentrations, it has public health uses. CoF2 is sparingly soluble in water. The compound can be dissolved in warm mineral acid, and will decompose in boiling water. Yet the hydrate is water soluble, especially the di-hydrate CoF2·2H2 O and tri-hydrate CoF2·3H2O forms of the compound. The hydrate will also decompose with heat. With the support of our skillful executives, we are involved in offering a complete variety of Cobalt Chloride. We are the topmost company involved in the manufacturing, trading, wholesaling and supplying of Cobalt Chloride. It is prepared from great quality chemicals which are procured by our trust worthy vendors. 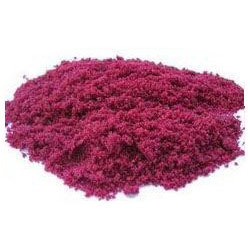 This cobalt chloride has deep purple color and is used in chemical synthesis processes. These are tested under various challenging conditions and have superior chemical properties. Last but not the least these are available at affordable price. Backed with immense industry experience and knowledge, we have become leading entity engaged in offering Cobalt Nitrate. The offered product is precisely formulated in our ultra-modern formulation unit by using top-notch quality ingredient and sophisticated technology in compliance with set industry standards. 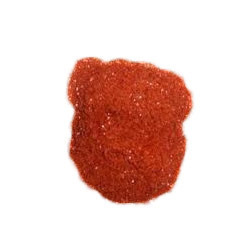 This cobalt nitrate is commonly used in dyes and inks as well as common source of cobalt in metal organic frameworks and polymers. With highly driven ethnically excellence, our organization is actively committed to offer Cobalt Oxide Black. Our given cobalt (ii) oxide black is formulated from the optimum quality chemical compounds by our experts as per the norms of standards. This cobalt (ii) oxide black is an inorganic compound that appears as olive-green to red crystals. 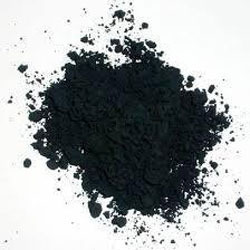 Along with that, provided cobalt (ii) oxide black is accessible in different packaging options as per the demands of the customers. Owing to our enriched industrial experience, we are devoted towards offering the best grade of Cobalt Acetate. Offered product is a precursor to various oil drying agents, catalysts that allow paints and varnishes to harden. Our offered product is formulated by skilled professionals using quality chemical compounds and modern technology in observance with industry norms. The provided product is tested by our quality experts at our labs so as to ensure its purity.